While it isn’t quite as useless as Horse Armor, it is pretty close. Coming to Xbox Live on the 4th of September will be the newest DLC package for Skyrim titled Hearthfire. The name conjures up images of your very own warm home amongst the frozen tundra that is the nordic lands, and that’s pretty much what this offers you. 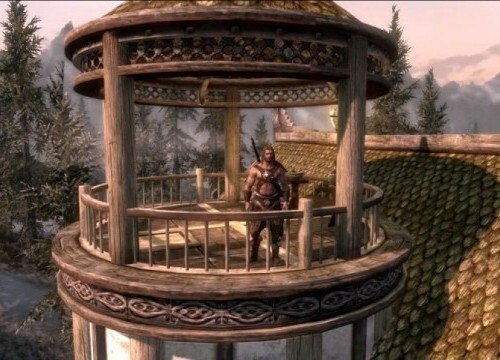 You can build and maintain your very own home, with additional customization options that normally wouldn’t be available to you if you just bought a home in a town (like breezehome in Whiterun). You can add useful rooms like a kitchen, alchemy lab, and an enchanter’s tower. If that isn’t enough homey goodness for you, invite your spouse to come live with you (that’s why you need the kitchen) and you can even adopt a child. Train him to use blades and magic and hope he doesn’t just burn the whole dang place down. Monsters will occasionally raid and attempt to destroy your little piece of real estate, so hopefully your a strong enough level to defend it properly (but seriously, who isn’t like, level 100 million by now in Skyrim?). Look out September 4th to drop some MS points on this little gem, because nobody can truly get enough Skyrim. State of the Game Address: The Evolution ( and death?) of home videogame consoles.